NoSQL Databases: A Survey and Decision Guidance — An incredibly thorough overview of the NoSQL landscape. Using State Machines to Run Databases — Want a look at how a large as-a-service offering provides databases at scale? This gives you a look. The key under the covers is a state machine, used by both Citus and Heroku. 10 Transformational Database Technologies — A piece from Oracle referencing in-memory databases, JSON, containers, and the cloud as major transformational influences on modern database systems. Itching for a rewrite? 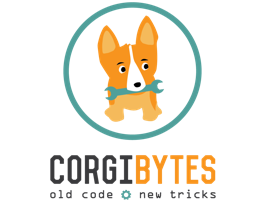 Try a Code Inspection™ from Corgibytes first — We know the frustration. You see all the places your app could be so much better, but you can't seem to convince your boss. Next time, mention Corgibytes. Our Code Inspection™ can help you explain technical improvements in a way executives can understand. Identity Crisis Threatens to Sideline Hadoop As The Leader of Big Data — The rapid proliferation of Big Data software has made it less certain what Hadoop stands for today. Advancing Enterprise Database Workloads On Google Cloud Platform — Google’s cloud database storage products (Cloud SQL, Cloud Bigtable and Cloud Datastore) are now out of beta and ready for production use. Context Aware MySQL Pools via HAProxy — Creating a self-managing topology that excludes lagging replicas automatically, handles disasters gracefully, and still allows for complete human control and visibility. The SQL Service At The Heart of Amazon Kinesis Analytics — AWS gave real-time app developers a boost recently when it unveiled Amazon Kinesis Analytics, a new service for continuously querying streaming data using SQL. MySQL Founder Tries A New Software Licensing model — Not strictly DB related but an interesting license that’s being used on DB products. Use Auto-Generated APIs from Legacy and Modern Databases in Tandem — Custom scripting example where medical data from MySQL is integrated with a medication tracker built on MongoDB. Analysing Docker Projects On GitHub with BigQuery — 281,212 Docker projects analyzed. Considering NoSQL Databases — A look at your options when choosing a NoSQL solution to fit your needs. Mroonga: A MySQL Pluggable Storage Engine for Fulltext Search in Every Language — Including Chinese, Korean, and Japanese. Agile Incident Resolution for DevOps — Increase uptime of your apps, services and infrastructure with PagerDuty. With full incident visibility, you can respond to and resolve issues faster. Try it free.